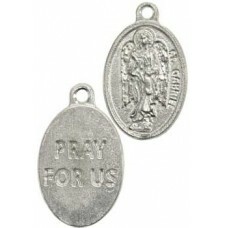 Using alchemy this amulet uses lead, tin, iron, gold, copper, mercury and silver fused onto a base o..
A talisman kit for those seeking the divine influence and assistance of the saints, Comes with a pou.. 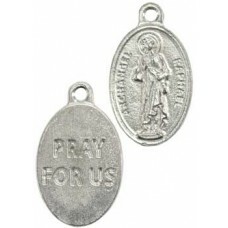 Wear this amulet of the Archangel Gabriel to bring his gentle healing and subtle influence into your.. 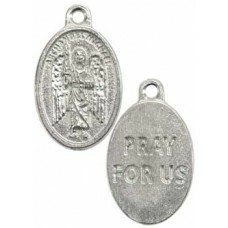 Wear this amulet of the Archangel Michael to bring his gentle and subtle influence into your life. H.. 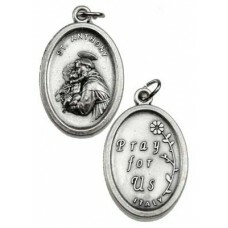 Wear this amulet of the Archangel Raphael to bring his gentle healing and subtle influence into your..
A set of five Archangel medallions. 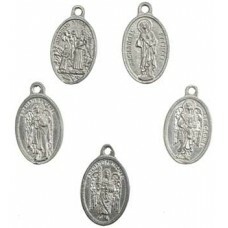 Wear one or all five when seeking the attention or protection of.. 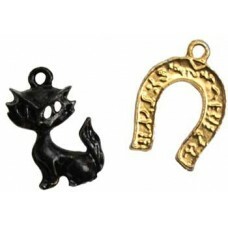 Wear this amulet of the Archangel Uriel to bring his sometimes harsh but always fair gaze into your ..
A powerful charm of good luck, this amulet brings the lucky fortune of the black cat and horseshoe i.. 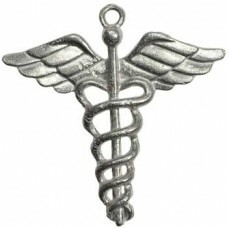 Widely associated with the gods Hermes and Mercury the Caduceus is a powerful symbol of communicatio.. 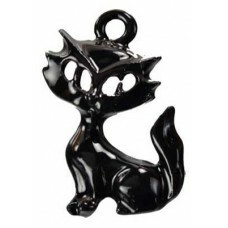 Known in lore for its magical ability, this talisman is intended to bring good luck in your way and .. Wear this amulet to symbolize and enhance the subtle and ever present influence & protection of your.. 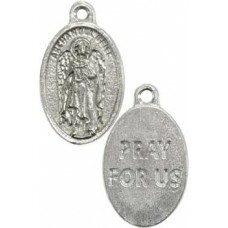 This pewter amulet is intended to bring the protection of the angels. No cord. Pewter. 3/4" x 1/2".. This small amulet depicts the Our Lady of Guadalupe, bringing her love and the blessings of God. No ..